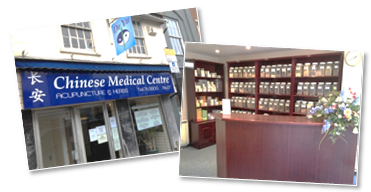 Can Chinese Medicine help you? Eczema, Psoriasis, Dermatitis, Urticaria, Acne, Herpes, Hair Loss. Arthritis, Neuralgia, Sciatica, Rheumatism, M.S., Tennis Elbow, Back Pain, Stiff Neck, Frozen Shoulder, Bell’s Palsy, Sports Injuries. Anxiety, Stress, Depression, Insomnia, Panic Attacks, Fatigue. Hay fever, Sinus, Sore throat, Tinnitus, Earache, Vertigo, Dizziness. Migraine, Asthma, M.E., Indigestion, Gastritis, I.B.S., Constipation, Colitis, M.S., Bronchitis, Hypertension, Diabetes, Palpitation, Haemorrhoids. Morning Sickness, P.M.T., Irregular Periods, Cystitis, Menopause, Hot Flushes, Endometriosis, Infertility, Impotence.